I know some people think I have disappeared, but I am just a little behind on some things. What an understatement that is, eh? The new job is going well, it turns out I can knit there. 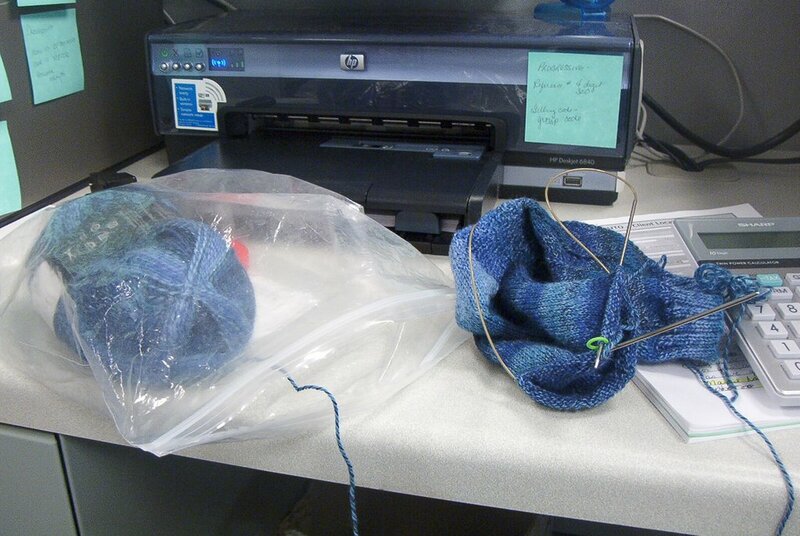 Here's a picture of the sock at work. 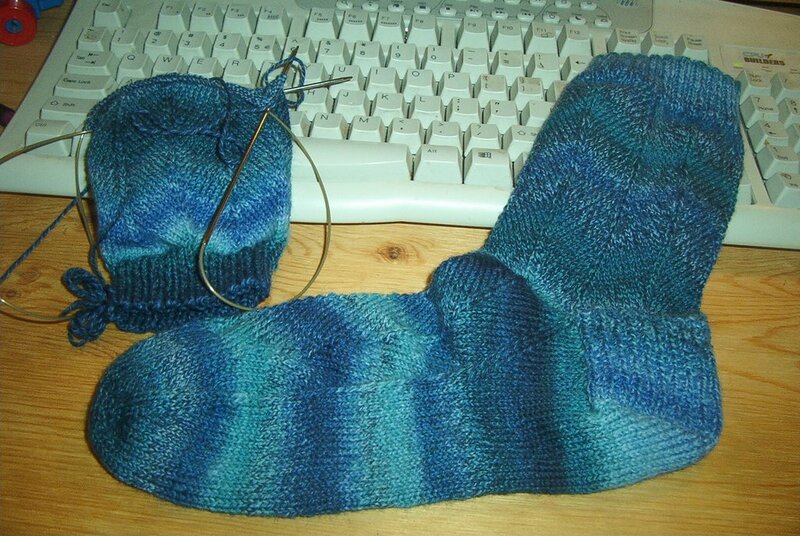 I did finish that sock and am almost done with the leg of the second one, see? I also joined the Yahoo group EZas Pi Mystery shawl knitalong. Because I have soooo much spare time! So far so good on that, too. Here are some pictures of that, looking a crumpled mess right now, but I am hoping that the miracle which is blocking will save me from myself. 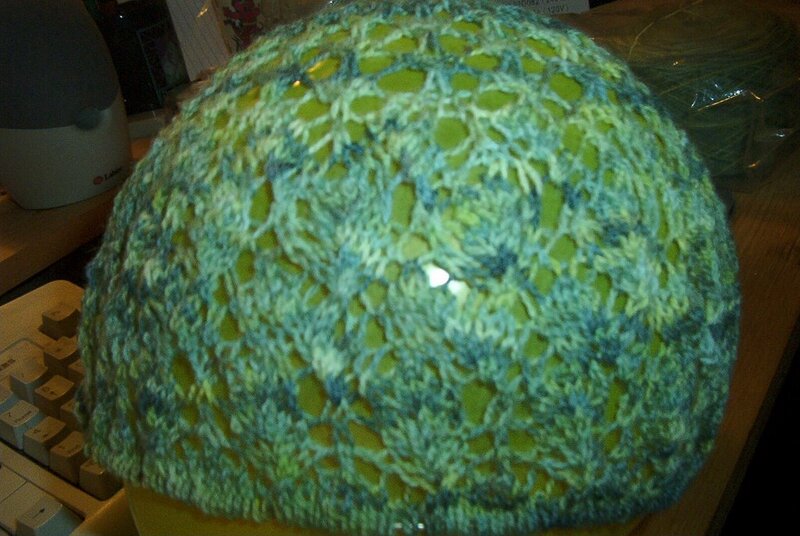 I tried to take a picture of the shawl in progress on a balloon so we could get an idea of how the pattern looks. Yeah, that worked well. 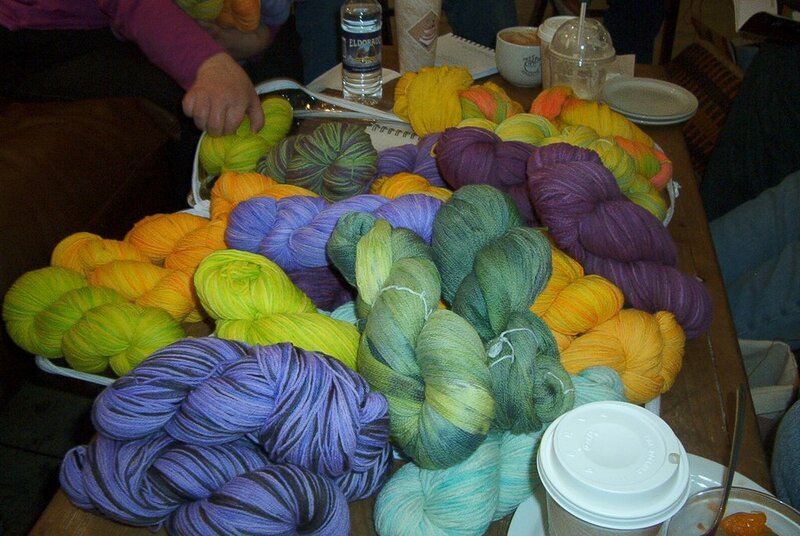 I've also got some pictures here of the yummy yarn that Christy dyes. 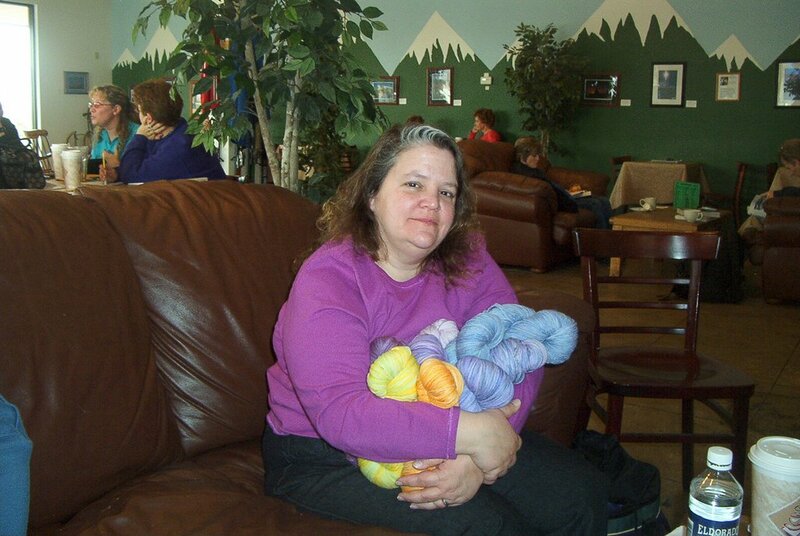 She brought it to knit group, and as they say, the crowd went wild. There was a massive yarn stash enhancement grabbing festival, and this picture shows the "after" pile. I couldn't get my camera turned on fast enough to catch a "before" shot. I did get a picture of MJ and part of her haul....You know it's bad when MJ had to call her husband to bring us bags to help us carry it home. Some of this, the pretty green stuff, is what the shawl is made out of. That's it for now, I'll try to be better at posting, but no guarantees! I can't believe it...a really truly post! 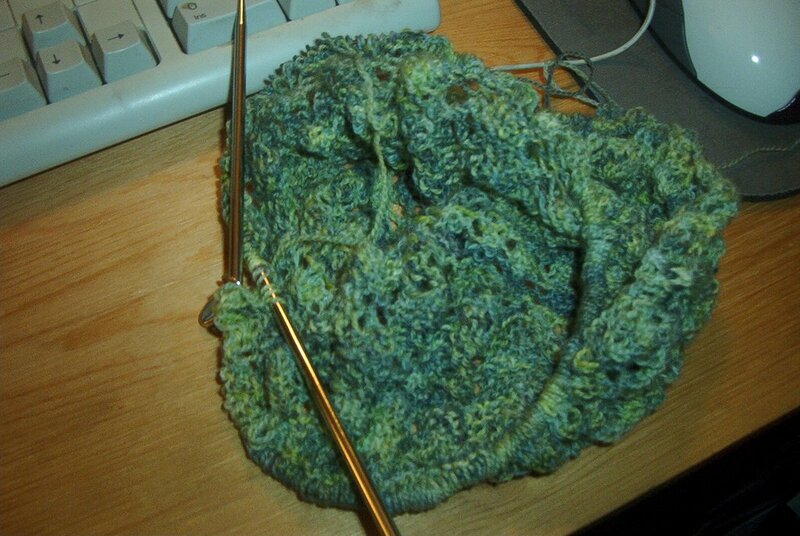 The shawl is looking great!